A £1m refurbishment of a 20,000 sq ft Barnsley warehouse has reached completion. 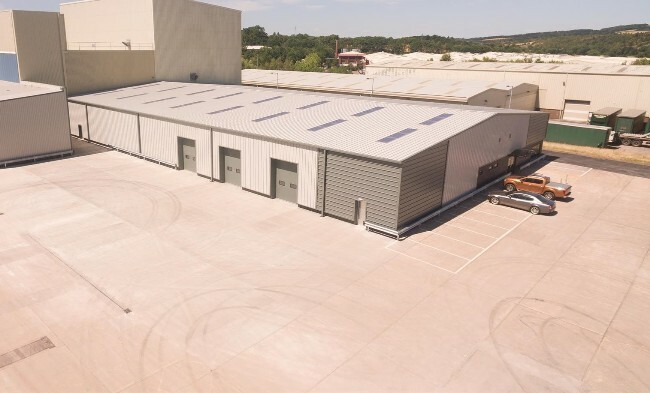 Overseas investors bought J38 Industrial Estate at Darton, near Barnsley, which comprises 215,000 sq ft of space across 16-acres, back in April 2017 with South Street Capital asset managing on their behalf. The £950,000 work on Unit 3a, which included demolition to create a much larger yard for external loading, over cladding and internal fit out, has now been finished. Current tenants on the industrial estate, which features CCTV and barrier entry system, include Premdor Crosby, Rightcast and Thyssenkrupp Materials. Junction 38 Industrial Estate is located within 1.5 miles of the M1 motorway at Junction 38, approximately five miles north west of Barnsley town centre and eight miles south of Wakefield town centre.